HijackThis lists the contents of key areas of the Registry and hard drive--areas that are used by both legitimate programmers and hijackers. 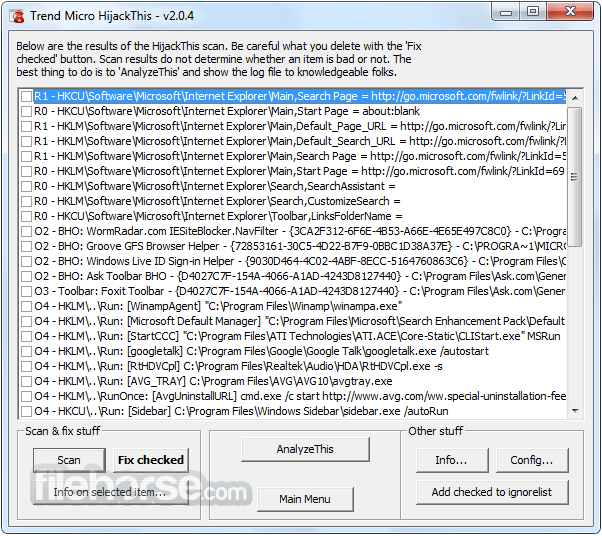 The program is continually updated to detect and remove new hijacks. It does not target specific programs and URLs, only the methods used by hijackers to force you onto their sites. As a result, false positives are imminent, and unless you're sure about what you're doing, you always should consult with knowledgeable folks before deleting anything. 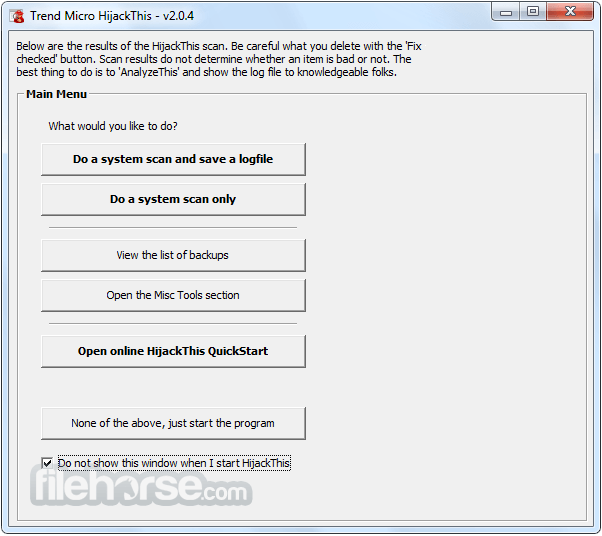 HijackThis inspects your PC browser and operating system settings to generate a log file of the current state of your Windows!